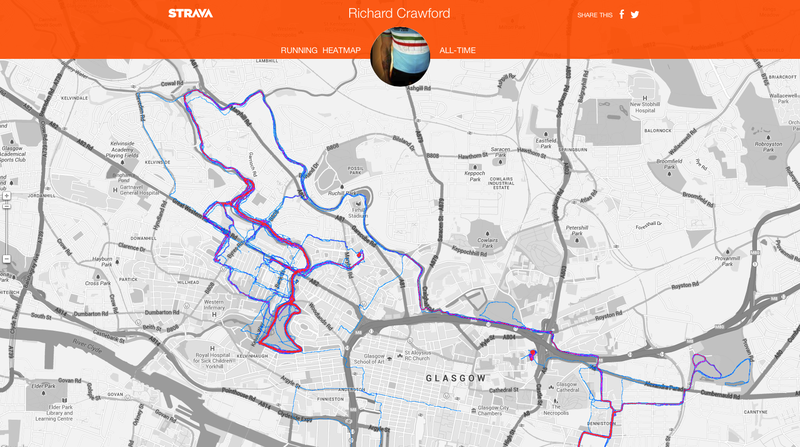 Strava Heat Maps – how is yours? 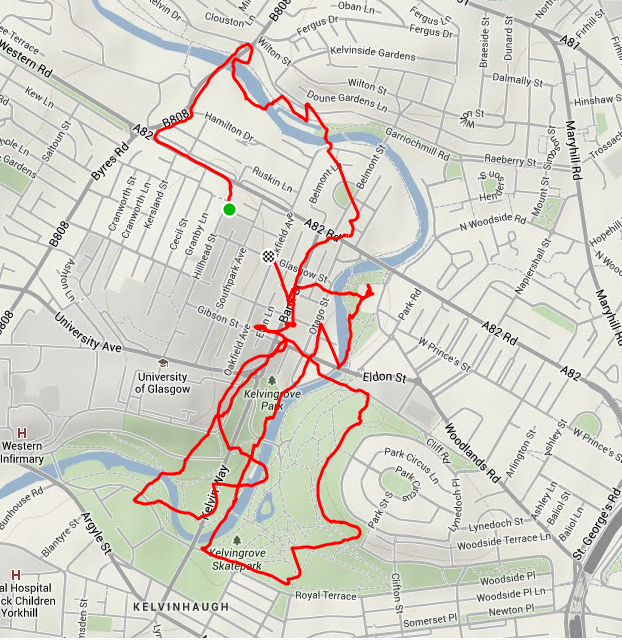 It started off with raceshape that did a heatmap of your rides or runs and linked into your strava details …. but now raceshape doesn’t work and instead it has either been bought in-house or they have replicated it …. 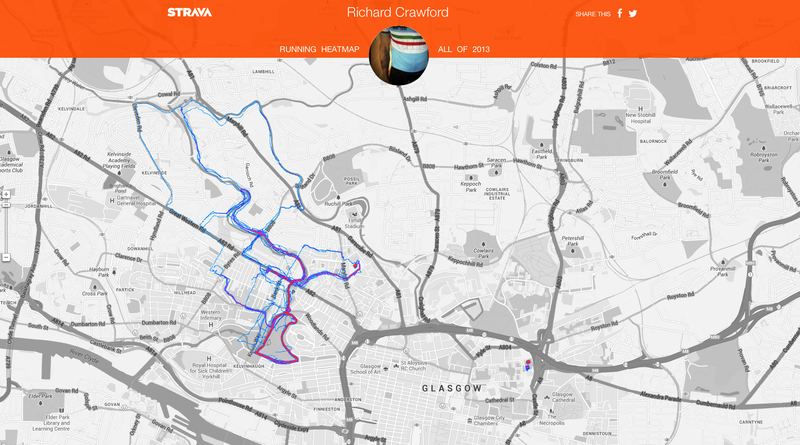 quite nice seeing your heatmap with higher occurrences burning brighter but a faint line for routes run just the once …. 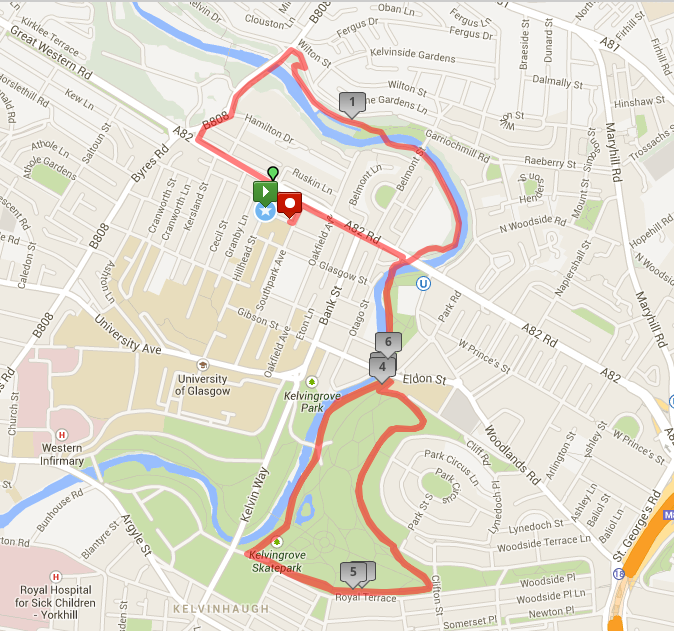 and my routes for 2013.
i am also a creature of habit running down the river and around the park …. 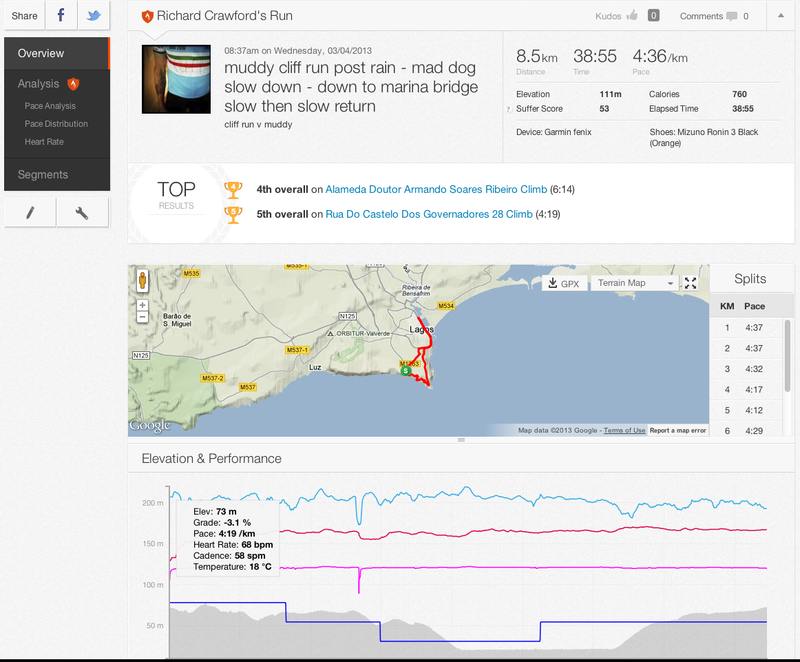 Author richdirectorPosted on October 15, 2013 October 14, 2013 Categories bikes and cycling, Fitness, mountain bike, Racing, Road bikes, RunningTags Clubs, cycling, Global Positioning System, heat map, Recreation, runkeeper, StravaLeave a comment on Strava Heat Maps – how is yours? 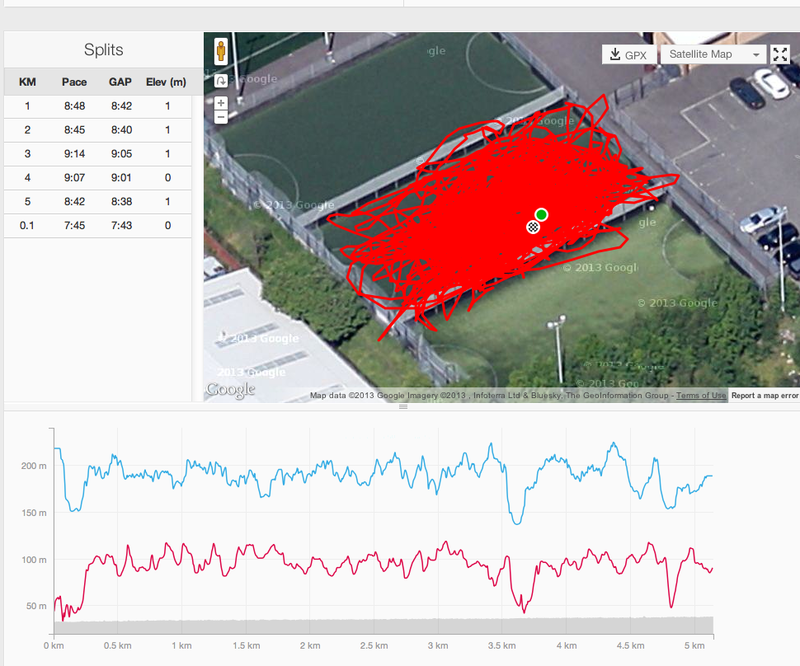 My friend Tom asked what 5 a side looked like on a gps or Strava … well here Tom this is for you. pretty accurate for something that has a 5m accuracy. It isn’t telemetary but it gives a good idea of the pitch covered – a full 11 a side pitch would be much more accurate in terms of area covered. After a short break due to a cold I am back on the turbo trying to get a bit fitter for the potential Srathpuffer 24 mtb race – I am far from ready – so far in fact that i cant see myself doing 4 hours let alone 12 …. But had a spin on thursday on the turbo and so tonight started doing one of the sufferfest films Angels which is a great climbing training video. Felt the effect of the cold so only completed 2 of the 3 climbs. 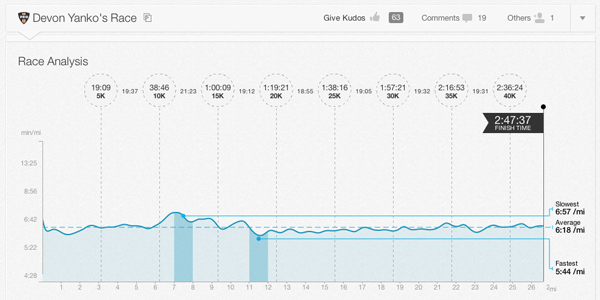 Went pro on the Strava account and they have this HR analysis which is fairly interesting if a bit basic. Love strava for the KOM and the social pecking order so paid mainly as a big thank you …. So what is Suffer and what is points in the red – well here it is …. 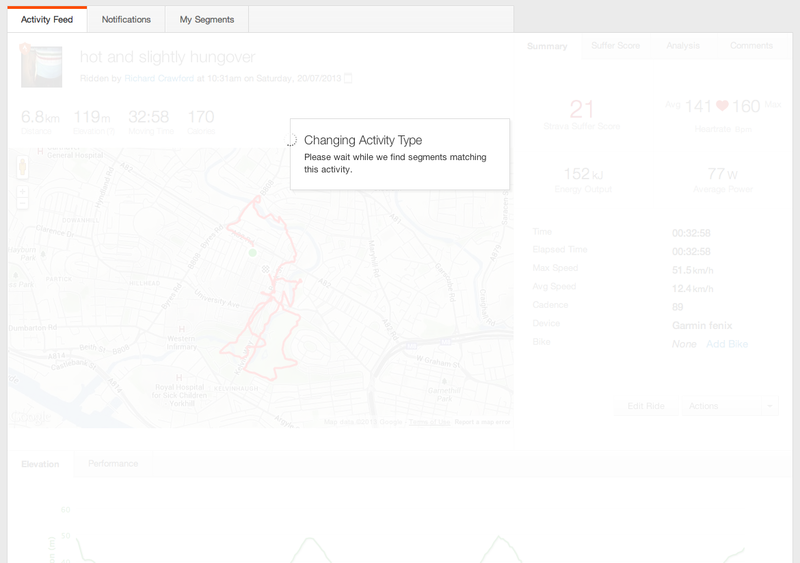 The Strava Suffer Score is an analysis of your heart rate data. By tracking your heart rate through your workout and its level relative to your maximum heart rate, we attach a value to show exactly how hard you worked. The more time you spend going full gas and the longer your activity, the higher the score. Compare your Suffer Score with friends and pros, see if you can do a truly epic workout and motivate yourself to push that extra bit harder! 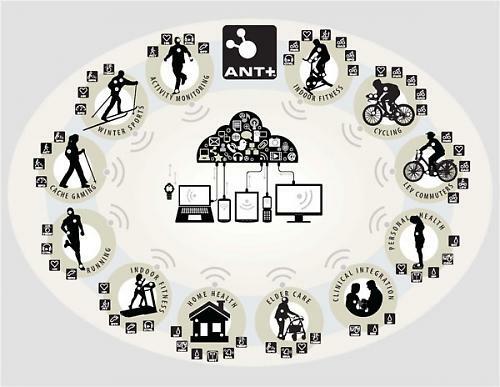 The Suffer Score was inspired by the concept of TRIMP (TRaining IMPulse) coined by Dr. Eric Bannister. Points in the Red is the portion of your Suffer Score that you earned in your Zone 4 and Zone 5 heart rate zones. Points in the Red shows you the intensity of your workout – if your Suffer Score and Points in the Red are the same, you were hammering the entire time!